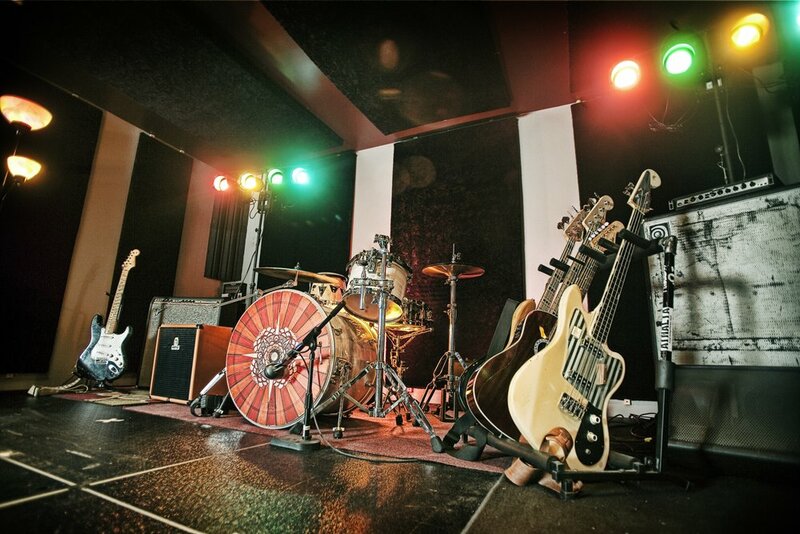 The Rehearsal showcase room encompasses a controlled and intimate live club setting perfect for rehearsing, label showcasing, or private events. The room features a 15’x15’ stage equipped with full PA and monitors, 24 channel Yamaha sound board and sound engineer, dynamic stage lighting, professional backline upon request (Drums, Bass Amps, Guitar Amps, and Keyboard Amps, Piano), and more. The room has become a favorite with bands for tour rehearsals, pre-production, crafting new songs, showcasing for record industry personnel, and more.